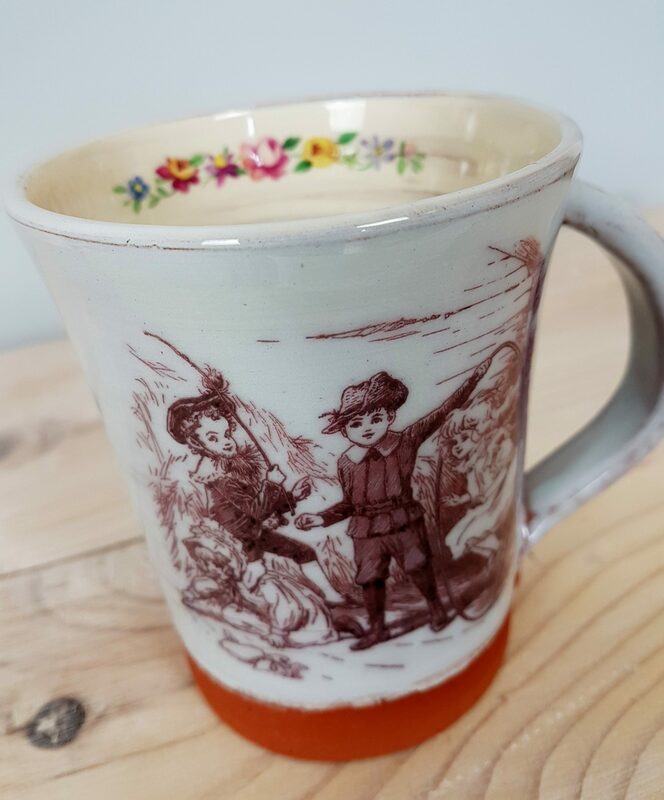 This handmade pale blue terracotta mug has a beautiful vintage illustration of Edwardian children playing on the front. 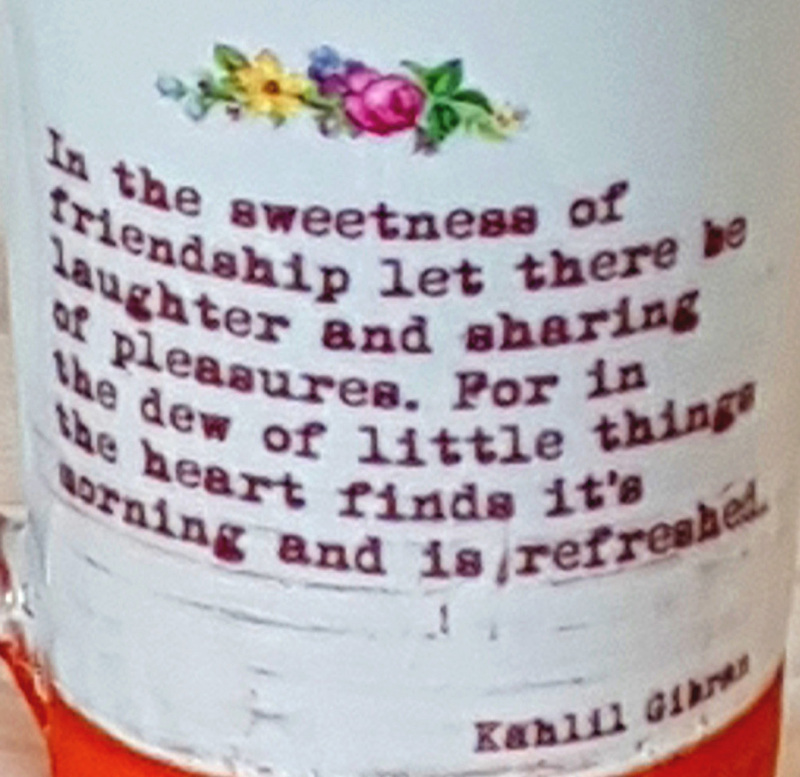 On the other side there is a wonderful quotation about friendship from ‘The Prophet’ by the poet Kahlil Gibran. 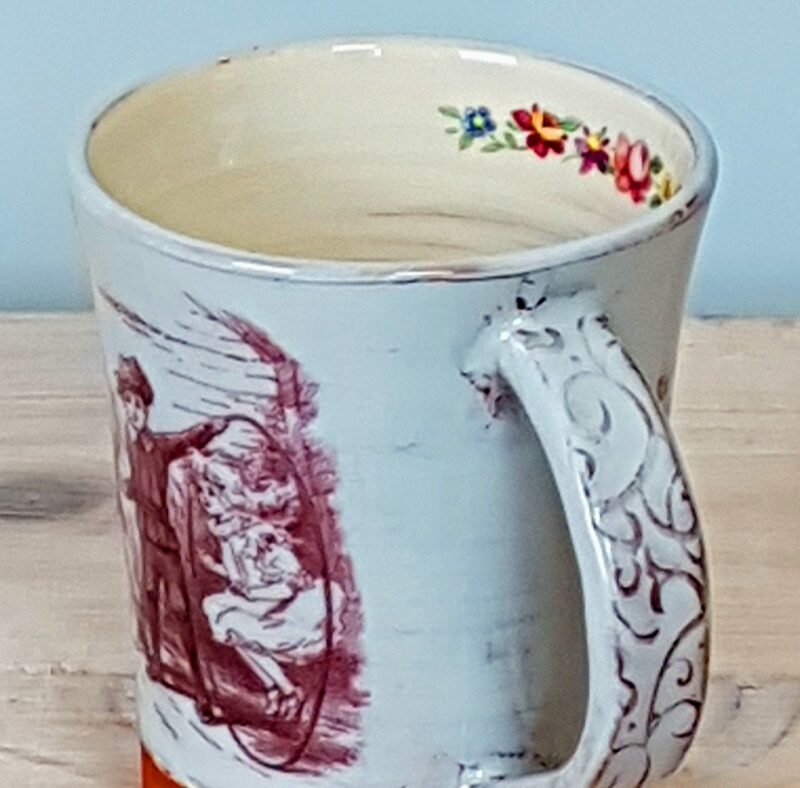 ‘In the sweetness of friendship let there be laughter and sharing of pleasures.